It was purchased on 6/21/18, along with a couple extra mags. It has a build date of 5/1/18 as identified by the sticker on the case. I did a fair amount of research on the SFx, here in this forum. A lot of very good posts! 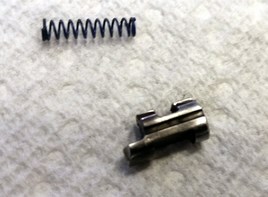 Red 28N Glock FP spring. 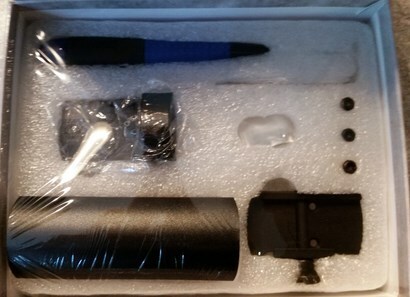 I also ordered a RMR as the main usage of this gun will be for competition. The one thing I noticed was the trigger break really felt good. Lighter than I expected based on the posts regarding the SDU. Right out of the box I was averaging 3-10.5#. 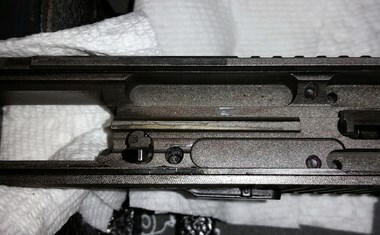 Next I decided to field strip the gun and give it a good cleaning prior to taking it to the range. Taking it apart I noticed the gun appeared to have been fired at the factory. I was a little surprised that it was well lubricated. I use the Super Lube on the rails and guide slots on the slide. I also apply a thin layer over the entire barrel. I prefer this to oil especially on my carry guns. It stays in place and doesn't run like oil will. 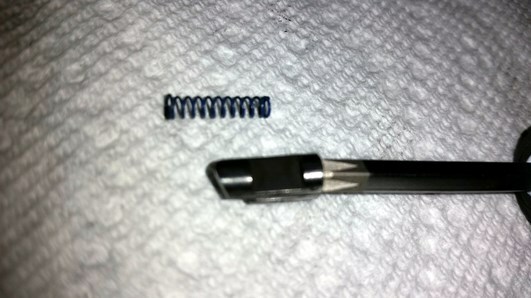 I use the teflon on the RSA, I apply a couple drops and use a brush to get between the spring coils. I plan on running 2-300 rounds through it today with the factory setup and see how it does before swapping in the new components. I'll report back on how it goes. The only thing I have changed on My SFX is the trigger. I have a very short trigger finger that made my decision for me. All I do is smile, grip and shoot! I have not had any FTF FTE. Now going on to over 1000 rounds since early may. Great info!! I will be following this. 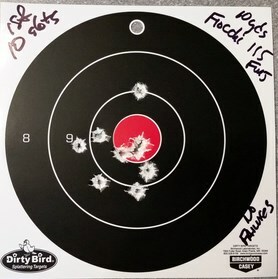 Went to the indoor range this morning seeing it was beginning to rain. Really wanted to go to the outdoor range only because the lighting is lousy at the indoor range. My eyes aren't what they used to be and they really like to have plenty of light. As I thought...I was basically shooting with a "Black" front sight. Anyways I brought 200 rounds, 100 of Fiocchi 115 FMJ and 100 of Aguila 115 FMJ. So I loaded up a mag with the Fiocchi and just launched them downrange to ensure the gun was operational. 10 shots, all off without any issues. 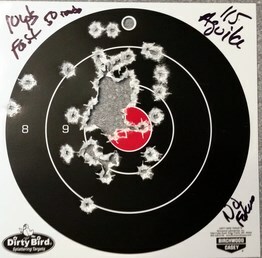 Loaded up a mag, put a target out at 10 yards, loaded the mag and put them downrange. One thing I noticed right away was the "mag release button" was sticking out far enough that it was a little uncomfortable. Need to check and see which one was installed. Will definitely be installing a lower profile one for sure. Other than that the gun had no issues with FTE or FTF. Decide to switch right over to the 115 Aguila to see how it performed. It also worked without any failures. So far so good. 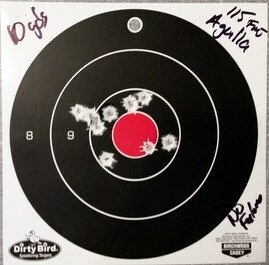 Took the rest of the Aguila and 10 of the Fiocchi, and tried to see how the gun performed trying to get 50 shots off quick. Wanted to see how I could manage the recoil. I know it would be a little interesting without a bright clear front sight. Wasn't too bad! Overall I'm VERY happy with the gun. Not a single failure with 200 round spent. From here it's only going to get better. 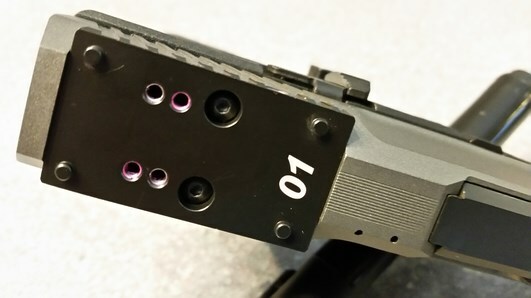 I'm sure the groups will tighten up once the RMR is installed and sighted in. Pictures appreciated when installing new parts. 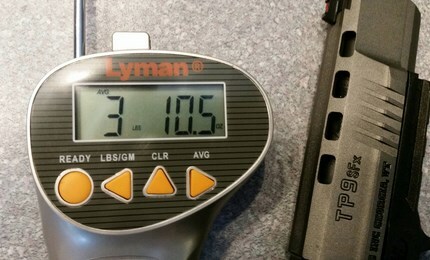 You got lucky, my initial trigger was 6 lbs., & had to sand down the trigger safety a little (catching). I'm going to go the "springs" route once it's broken in, I'll be following this closely as I'm somewhat "gunsmith challenged". Going to have some fun a little later! +2 on the pix. You off to a rip-roaring start. So here's the process I used to mount the FastFire. I decided not to use any Blue Loctite as the screw holes have red thread locker applied. I've used this in the past and it's a very good product. On another note, there were a number of threads regarding the battery cover on the FastFire being a pain to put on with the battery in place. I didn't have any issues at all. I just turn the cover counter-clockwise first to make sure it was sitting properly and then tightened it snugly. I first started by removing the rear fixed site plate. 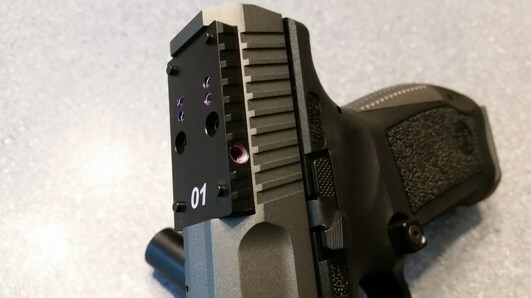 I used the screws from this plate to mount the #01 plate onto the slide. 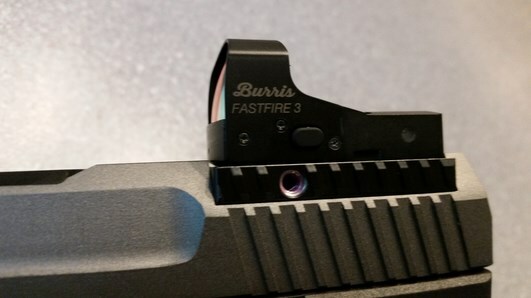 Next was to mount the FastFire 3. I used the extra set of screws supplied in the accessory kit. Once mounted I then proceeded to set the POA/POI. 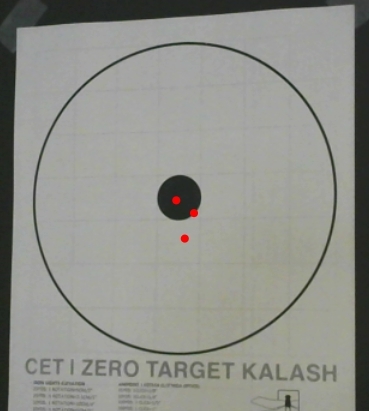 I use a laser training software called "ShootOff" that is a great training tool. It's "FREE" and all you need is a Laserlyte bullet and a webcam, and you have a really nice training tool for around $100. I'll post the link in a separate post. 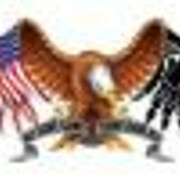 Seems these links exceeded the 10 link limit per post. 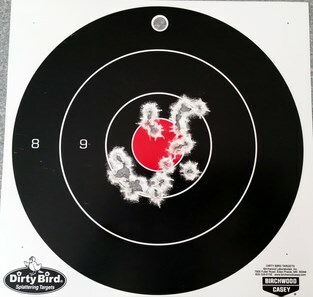 I placed the FastFire dot right on the center of the target (black circle) at 7 yds and pulled the trigger to pulse the laser. The image below shows where the laser was hitting with the dot on the center of the target. Final shot with gun shooting at 27' off a stand to assure a stable platform. 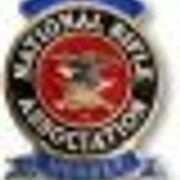 Next I'll head go to the indoor range tomorrow to see how it does with some live ammo. This is so much easier than trying to do it at the range with live ammo. I'm real happy with the 8 moa dot size. 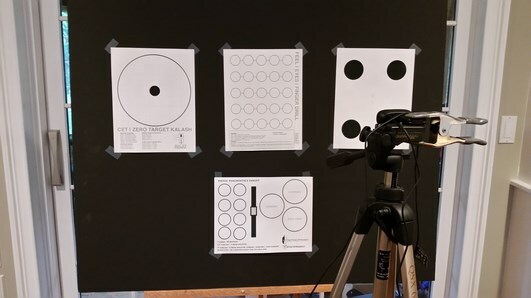 At 27' the dot covered about 3/4s of the center black spot on the target. 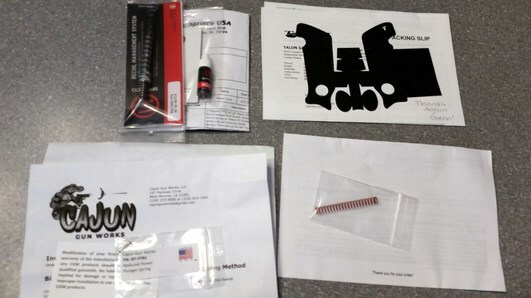 It's quick to acquire and should work nicely for competition shooting! So far I'm a REAL HAPPY CAMPER with this gun!!! "He dies with the most toys wins." You are WAY out in front in getting there. Good job on the alignement. I aligned my Viper with a barrel laser and the "drive the cat nuts with the laser" method. It's fun and get the alignment done. 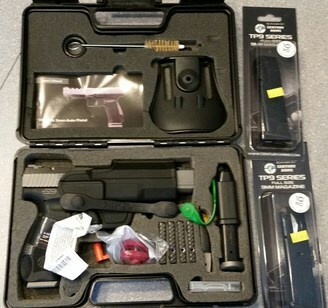 Can't wait to see the results of your range day. 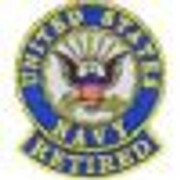 Last edited by LT USN (Ret.) on Sun Jun 24, 2018 10:35 am, edited 1 time in total. Mr Unice, which trigger did you get, I also have short trigger finger. 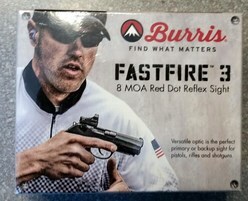 Went to the indoor range to give the Burris a try. 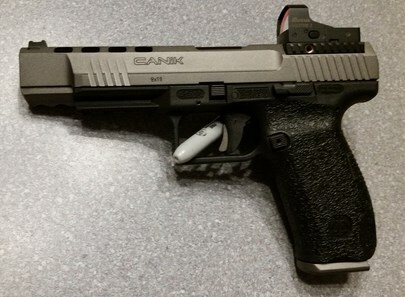 Had to make a few tweaks...but boy, I'm thinking I'm going to like this RMR!!! Shot 100 rounds and again...NO failures at all! The 8 moa is easy to pickup! I find if I come up with a good extension, the dot is pretty much right there. I think I'll be ordering a trigger for it as well. Would like to get rid of the initial takeup. Going to wait until I get the new springs in and see how it shoots. Thanks, the 3 hole or "regular", or doesn't it make any difference? 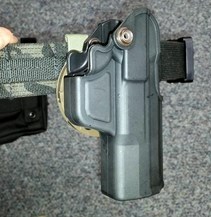 So I think I'm going to go with the competition holster from Smoky Mtn Concealment with the BladeTech DOS system. Looks really nice! In the meantime I wanted to rig something up to get by with. 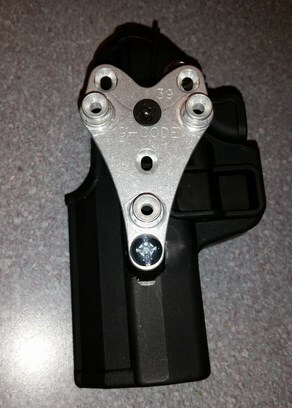 Decided to take one of my RTI universal mounts and see if I could integrate it into the holster that came with the gun. 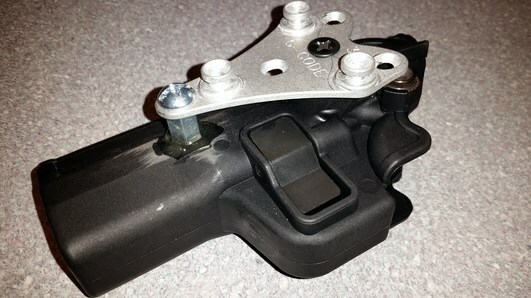 Mounting it with the existing screw/nut assembly which was easy enough, just needed something to keep it from twisting. Decided to use a 1/4-20 standoff cut to fill the space. I roughed up the plastic with some 80 grit paper and epoxied it in place. Used 5 minute epoxy so it didn't take long to setup. Now I just need to get a tapered screw to sit flush on the mount. Looks like it should work out pretty good. It will be a little high but should be fine for now. 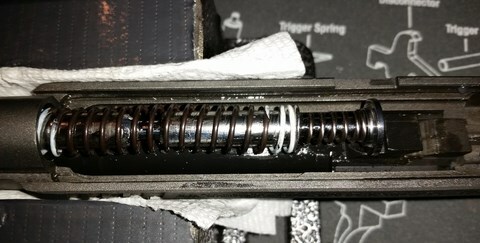 So I decided to tackle the FP Plunger Spring first. My thought was, from looking at a couple YouTube videos, this could be the problematic mod. With a small punch I pushed the release pin down and moved the punch towards the extractor, and BINGO...it released!!! Didn't take 20 seconds. Couldn't believe it! I decided to use some polishing material I had from when I did some solid surface fabrication. Using a Dremel with a polishing pad/wheel, I ran the pad on the polishing stick to get the material on the pad. 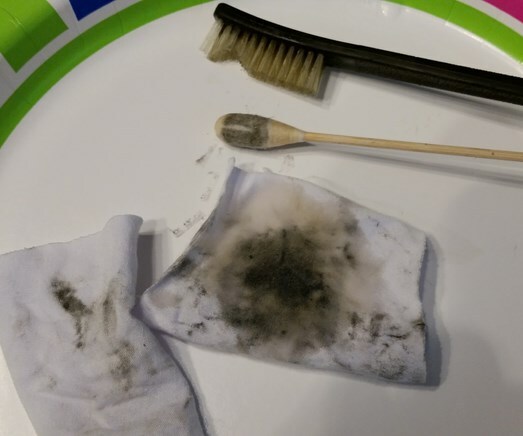 I then proceeded to polish that little sucker. Took about 15 minutes and come out pretty nice. I also polished the contact points on the trigger bar that makes contact with the plunger. 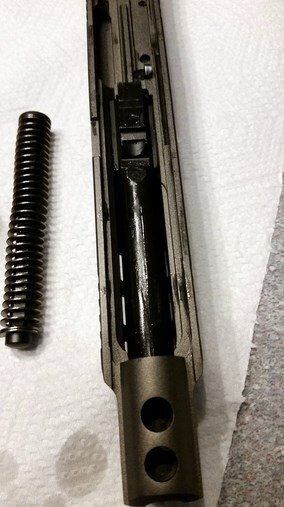 I then removed the firing pin assembly to clean the plunger hole. I used some 1500 grit paper with a little WD40 and wrapped it around a round file and rotated it in the hole. Did that for about 5 minutes and then inserted the plunger with the new spring in the hole to see how it felt. I did put a tiny bit of gun oil on my finger and rubbed it on the plunger before inserting it. Definitely much smoother. 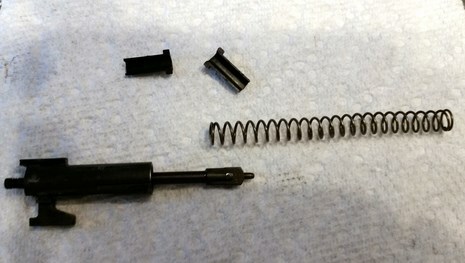 Now it was time to swap out the FP spring and put the new 28N Red Spring in. It wasn't too difficult to get the two retainer clips out. It was a little more difficult getting the second retaining clip in. All said and done it probably took 5 minutes. 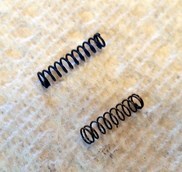 Two springs down..one to go. The Sprinco RSA looked really nice! 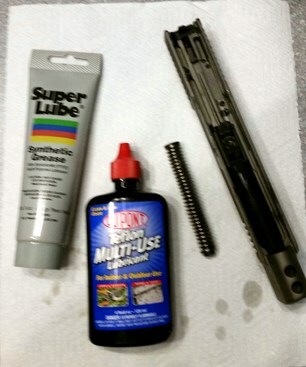 I used a little of the supplied oil in the rod and put a thin coating of Super Lube on the outside of it. Then inserted it into place and DONE! All three spring are now installed. 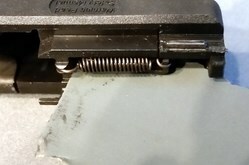 The last thing I did was take some 1500 grit paper and inserted it into the back area of the trigger bar to try and polish it without removing it. 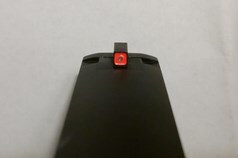 I inserted the paper between the trigger bar and the plastic it rubs against. I then just worked the trigger moving the bar over the paper. I then used a piece to smooth the plastic the bar rubs on. Very noticeable difference in the slide action, and even more so...THE TRIGGER!!! Just a nice smooth take up right to the wall. The gritty feeling of the FP block plunger is gone! Last edited by GlennSFX on Mon Jun 25, 2018 8:09 pm, edited 2 times in total. Last thing was to install the rubber Talon grip. I have these installed on a number of handguns. They're easy to install and hold up well. 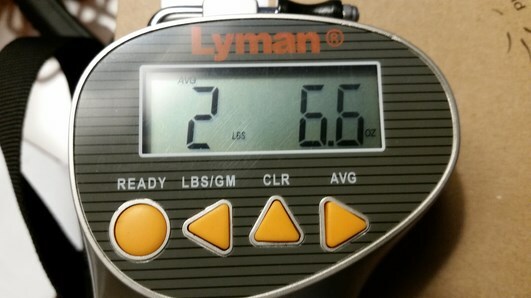 WOW...Just a nice clean crisp 2-6.6 pounds!!! This mod dropped the pull weight by a little more than a pound. Now to take it to the range and see how she performs!!! Decided to stop by the range before heading into work this morning to see how the gun would perform after the upgrades. 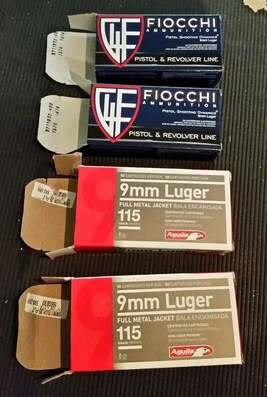 Took 100 rounds of Fiocchi 115, all fired without any issues. Checked around 20 or so primers, and the strikes looked good. Trigger felt great! The 2-1/2# pull is smooth to the wall, and then a nice crisp break. 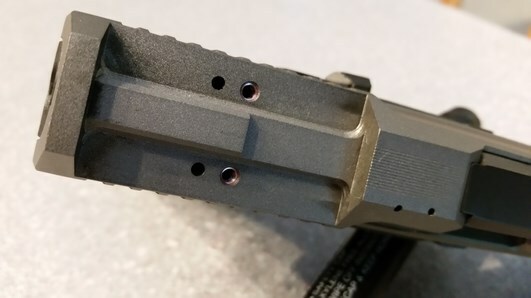 When slowly pulling the trigger, there is a slight increase in resistance from the initial take-up to when the trigger bar makes contact with the FP block plunger, but much reduced with the new spring, and the grittiness is gone. It's a smooth transition. When firing the gun you don't notice it. The reset is tactile and very short. Overall a super trigger. Really happy with the upgrades!!! 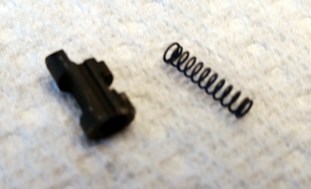 Forgot to post a picture of the two FP Plunger Springs yesterday. 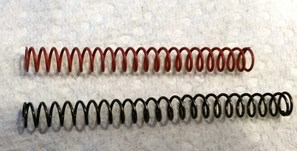 The top one is the factory and the lower is the Cajun spring. Here's a picture of the plunger when it came out of the gun. 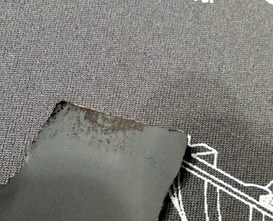 It was completely coated with the black finish material. I feel it was well worth it. Overall it didn't take more than an hour to complete. The only other upgrade I could see doing is a Freedomsmith trigger to eliminate the take-up. Last edited by GlennSFX on Tue Jun 26, 2018 8:22 am, edited 2 times in total.